Every one of us has the beast inside. But for Kyrie Smith, the beast is no metaphor. Since she was 15, when she first shape-shifted into a savage, black panther, Kyrie has questioned her humanity and moved from town to town, searching for a way to feel human again. Kyrie's lonely life changes forever while waitressing at a cheap diner. Investigating screams from the parking lot, Kyrie stumbles upon a blood-spattered dragon crouching over a mangled human corpse. The dragon changes back into her co-worker, Tom, naked, dazed and unable to remember how he got there. Thrust into a world of shape-shifting dragons, giant cats and other beasts waging a secret war behind humanity's back, Kyrie may find the answers she seeks—with help from Tom, a mythical object called the Pearl of Heaven, and her own inner beast. I absolutely love how Sarah Hoyt handles the love interests in this book. In so many urban fantasy books I see unhealthy relationships portrayed as normal - men who steal kisses and untrustworthy people who are given chance after endless chance. There is no enabling in this book because Kyrie does not take crap from anyone, especially not from men who are attracted to her. I also love seeing characters take responsibility for their actions like Hoyt's characters do. I'd say more but I don't want to spoil anything! 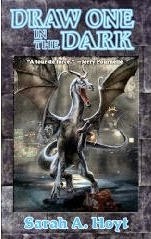 Draw One in the Dark (Shifter Book 1) is a great fantasy with a lot going for it: thrilling action, murder mystery, a bit of romance, and unusual shifters. This gritty urban fantasy is a fast read with a YA/New Adult feel. 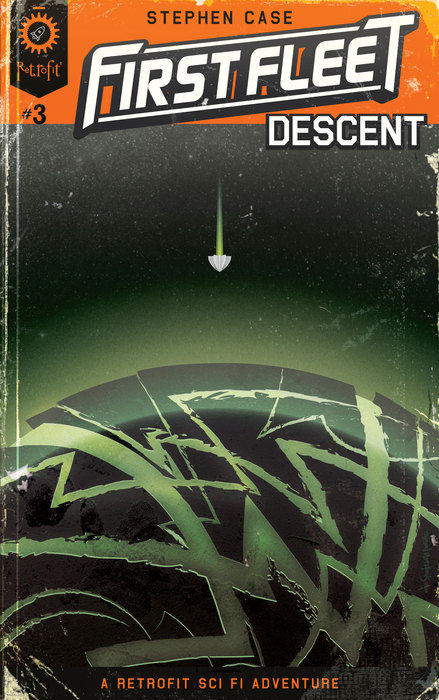 In "First Fleet 3: Descent," Case answers many questions about the Grave Worlds and the disappearance of the First Fleet, and in the process pulls all of the characters together into a thrilling crises on a Grave World cut off from the rest of humanity. As we learn more about the monster who destroyed the First Fleet, Case's blend of hard science fiction and horror reminds me of Dan Simmon's style in the Hyperion Cantos. I get the feeling that many characters are going to die before, or because, they discover the true nature of their adversary. Even as Case brings plot thread together and answers many of our questions, I can't imagine how the story arc could possibly wrap up in only one more novella. There will have to be mind-boggling surprises in the next installment, and I can't wait! Once again, Case leaves me itching to read more. Are you addicted to First Fleet yet? and "Part 4" to be released later this summer. While you're waiting for Part 4, you can read an essay by Stephen Case about writing First Fleet [ here ]. Sophronia Lambert, a schoolteacher on the island of Martha’s Vineyard, lives a quiet life; that is until Nantucket whaling captain James Folger comes ashore. Realizing he is the man who killed her deaf brother, she decides to pursue vengeance – first at home, then at sea-sailing to the far side of the world as his bride. As she grapples with madness and morality, Sophronia’s quest mirrors that of her island community: to find a way forward amidst the pressures of a brutal industry, a nation mired in Civil War, and a past darker than the ocean’s abyss. When Sophronia Lambert elopes and joins the Eliza Jane as Captain Folger's wife, her uncle Keziah Lambert and her love interest, Absalom Cook, worry that she will be “lost at sea” as was her late brother, Jonathan. If Captain Folger doesn't murder her himself, Sophronia may fall victim to the mental illness that has plagued her since she found her mother dead at the hands of her father. Growing up on the small island of Martha's Vineyard is surely poor preparation for the brutality of an all-male crew set on the bloody business of whaling, as it proved to be for Sophronia's brother, except that this Lambert comes knowing that her true nemesis is the Quaker Captain who obsesses over numbers and superstition. Bridwell's vividly poetic style draws the reader deep into the horrors of the human heart, whether it be Sophriona and Captain Folger's mental illnesses, the sailors' chauvinistic savagery, or the bloody process of spearing and stripping the soulful whales. But like Bridwell's realistic characters, his dark themes are tempered by the other side of humanity; the sudden joys, small pleasures, and even love. In this way, Sophriona's journey on board the Eliza Jane is like a mental breakdown, where she is separated from the two people who understand and love her most as she traverses what for her are uncharted waters. Sophronia L. boasts the descriptive language of Hemingway and the complex drama of Faulkner, taking readers on a haunting journey through Sophronia's mental illness, manifest through her obsession with Captain Folger's death. I would absolutely recommend Sophronia L. as a superb novel for those who enjoy literary and historic fiction. 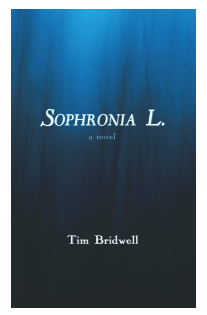 Check out the publisher, [Folded Word], and leave a review of Sophronia L. on [Goodreads].